Since Lenovo started a joint venture with Japanese PC firm NEC back in 2011, not much has come out of the partnership - at least in the US. The Chinese company put an end to that during CES 2015 with the announcement of a new line of 13.3-inch laptops: the LaVie Z series. With these two NEC-built, Lenovo-branded machines, the LaVie Z HZ550 and LaVie Z HZ750, the duo has also laid claim to the "world's lightest" notebook and Ultrabook, respectively. 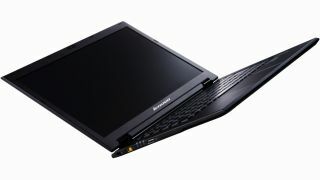 Accoring to Lenovo, the LaVie Z HZ550 comes in at 1.72 pounds, while the HZ750 hits the scale at 2.04 pounds. So, you likely won't feel these lean machines in your backpack. OK, not literally, but you get the point. Both LaVie Z models were built using a magnesium-lithium alloy chassis and back cover. Lenovo claims that, while these materials are 50% lighter than aluminum, they're just as strong as any typical magnesium casing. Plus, since touchscreens usually add unwanted weight to otherwise feathery devices, Lenovo opted for a directly bonded touch panel using a special film rather than cover glass. As a result, both rigs measure just 0.66 inches thin. As for connectivity, both models feature the same package: two USB 3.0 ports, HDMI out, SD card readers, headphone jacks and 720p webcams. Not to mention 802.11ac Wi-Fi and Bluetooth 4.0. Finally, both of these laptops' LED displays can go as sharp as WQHD, or 2,560 x 1,440 pixels. And that brings us to the asking prices: not exactly cheap, but what you can expect? Prepare to pay at least $1,299 (about £847, AU$1,605) for the HZ550 laptop and $1,499 (around £977, AU$1,852) at minimum for the HZ750 convertible when they land in the US this May. Lenovo has yet to announce availability outside the US and Japan.